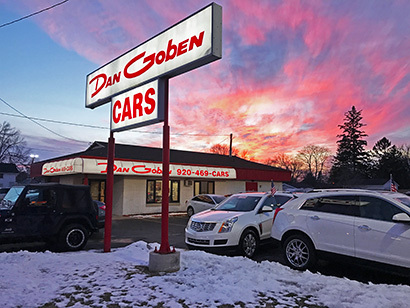 Dan Goben cars offers financing for your vehicle. Our dealership works with a variety of different banks and institutions to get the best finance rates and payments available. Extended warranties are also available on most vehicles. No matter what your credit situation, we will do our best to help you get in the driver's seat! Call or stop by today! or better yet fill out our secure credit application now.